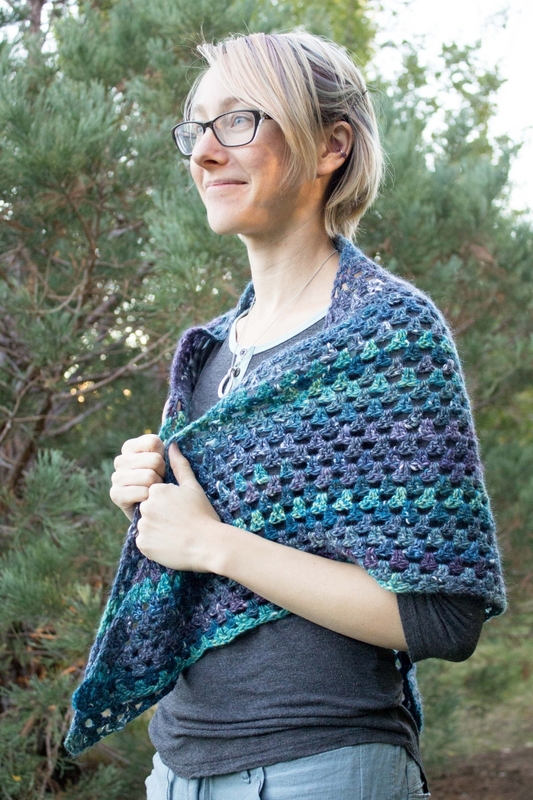 Leanne found the pattern for the Augusta Shawl on Ravelry for free and decided that it was just the thing to crochet while she was sick. Don't worry, she's all better now! 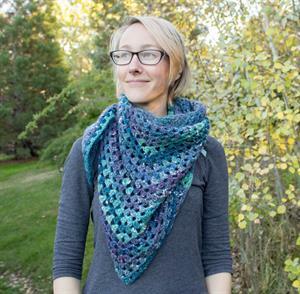 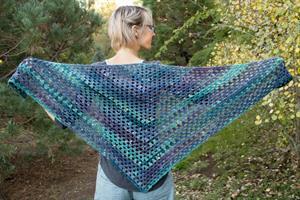 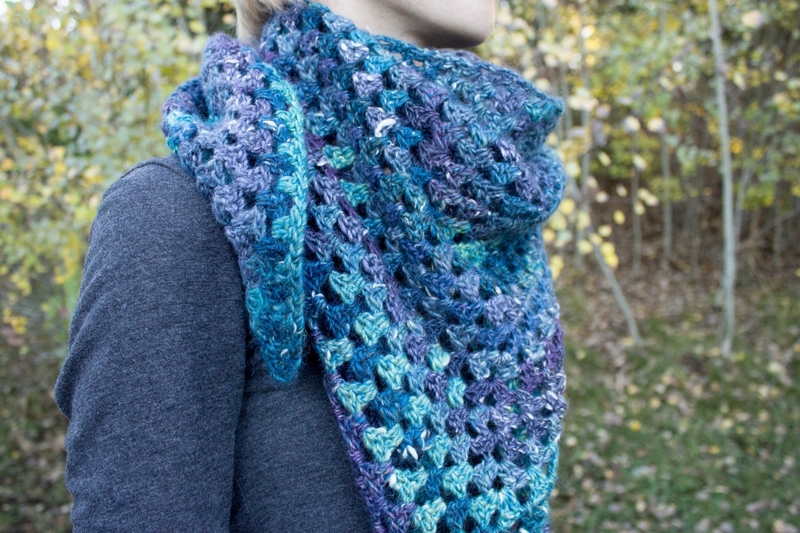 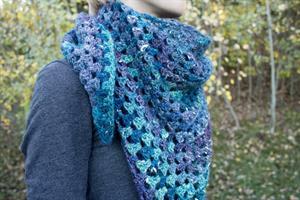 Leanne grabbed some Plymouth Mushishi that she had in her stash, and finished this gorgeous shawl over a weekend. 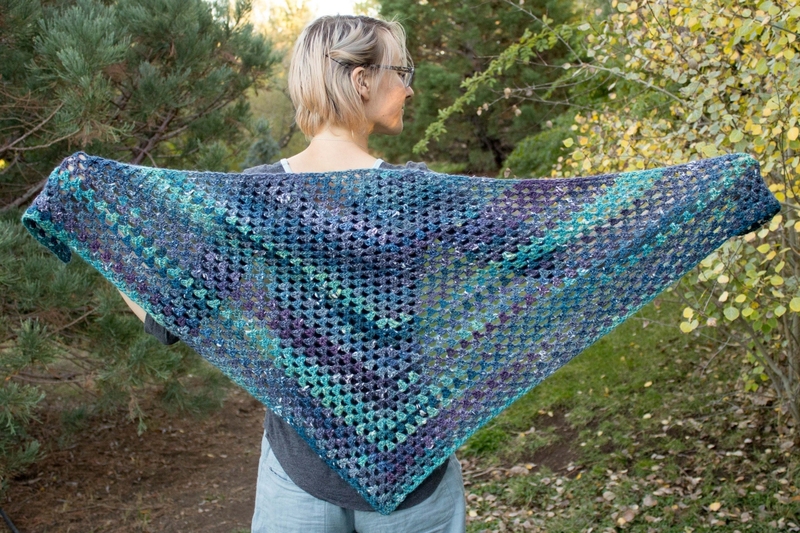 The pattern originally calls for 5 solid colors of Manos del Uruguay Serena, but Leanne cheated a bit and used one skein of Mushishi in color #11 - Sea, which is gorgeously variegated on its own! 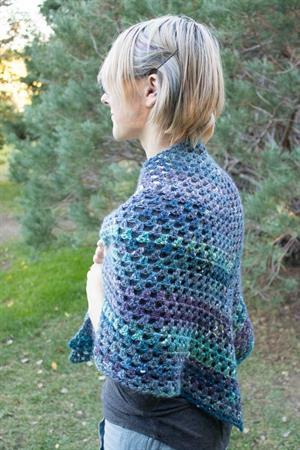 Leanne used a yarn that is slightly thicker than the pattern calls for and wanted to maintain the lovely drape of the original pattern so she used a bigger hook than the pattern calls for so the finished product wouldn't be too stiff. For reference, the pattern calls for size D hook, but Leanne used an I hook. She says the pattern is super simple and easy to memorize, plus is was a really fast project, just the thing for television marathons while she was recovering from being sick! 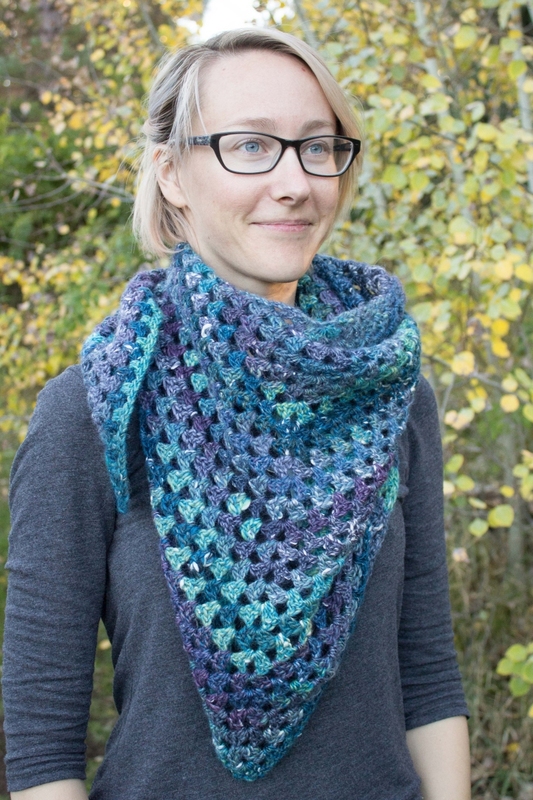 Great job, Leanne!